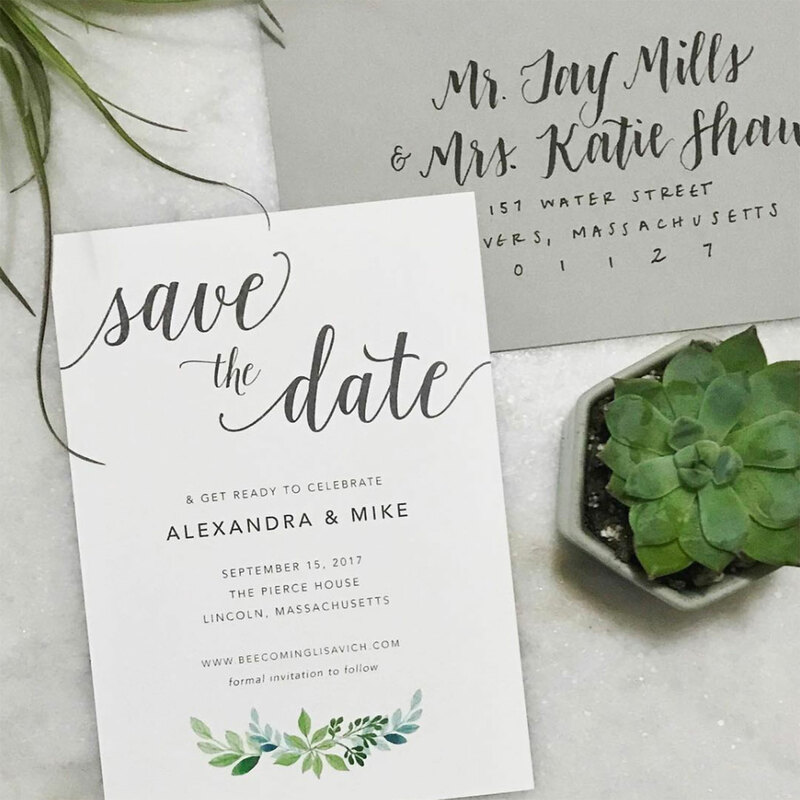 When to Send Your Wedding Invitations, Save the Dates, and Everything Else! 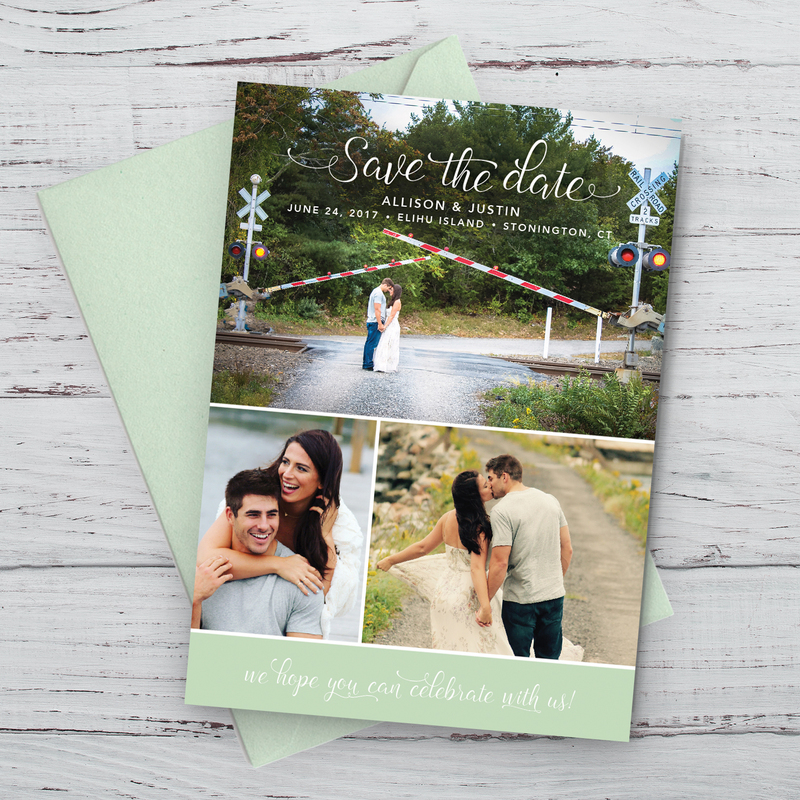 Save the dates, invitations, thank you cards, oh my! 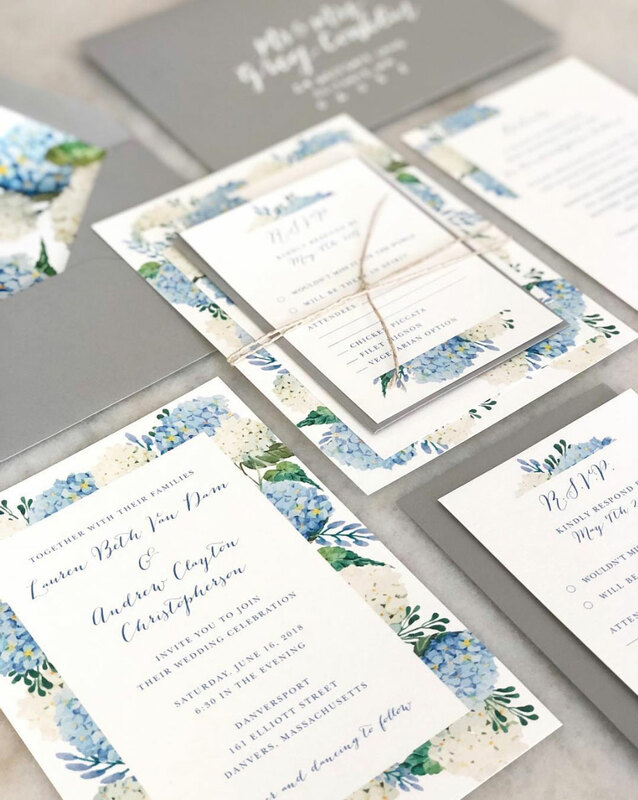 At first, all the stationery involved with wedding planning can be overwhelming – but don’t worry, we’re here to help. 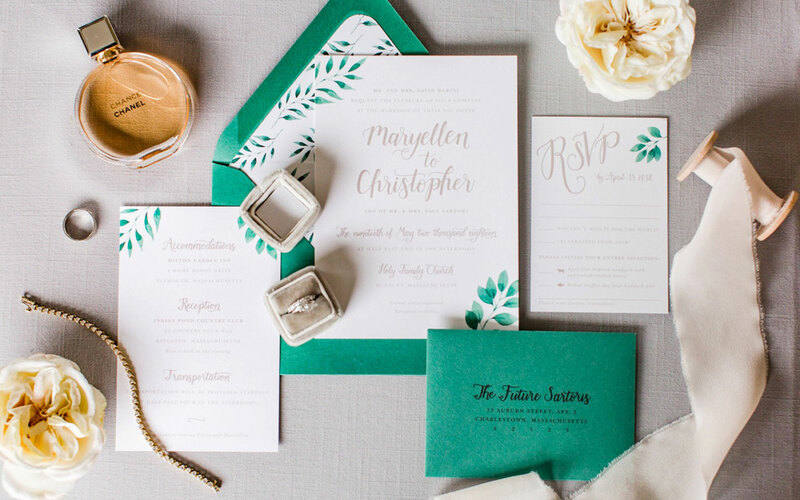 Here’s our recommended guide for when to send all the gorgeous mail for your wedding. 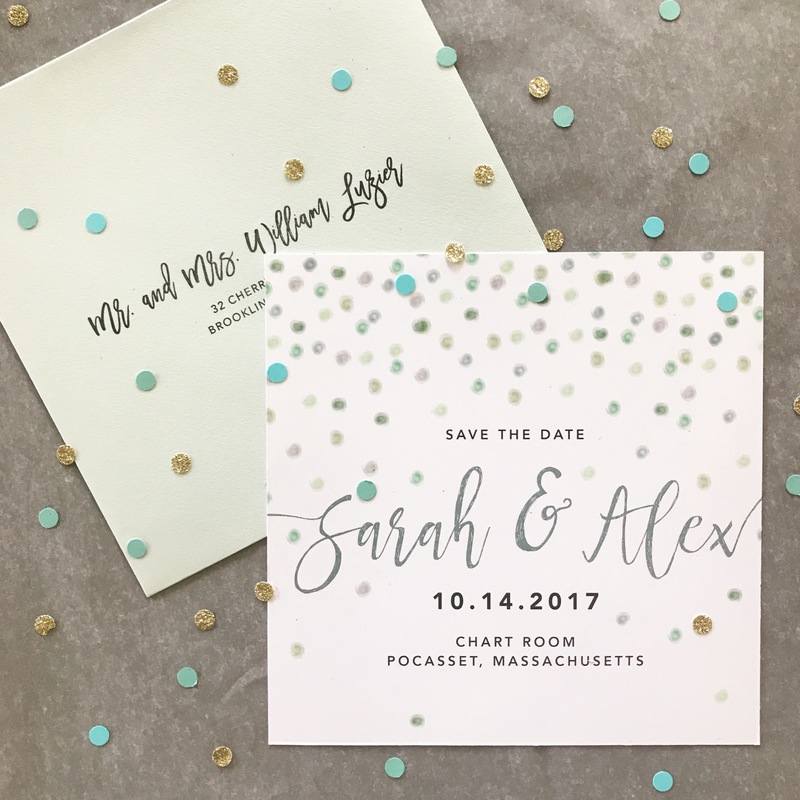 Save the dates are a fun way for your guests to mark your wedding on their calendar and are typically sent out 4-6 months before the wedding. 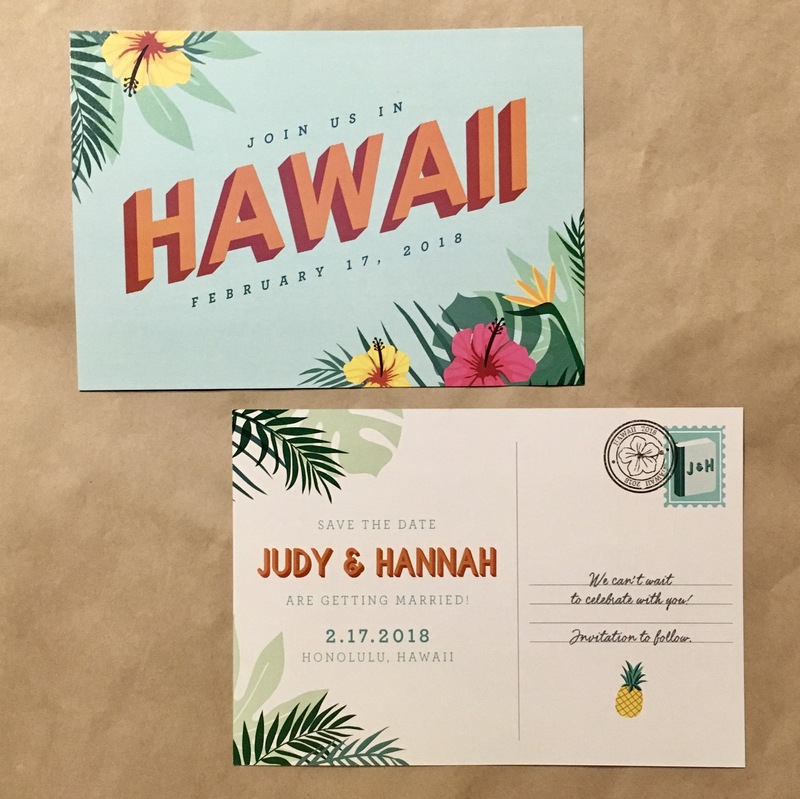 For destination weddings you may want to send your save the dates our earlier, about 6-12 months in advance, to give your guests ample time to plan their travel arrangements. 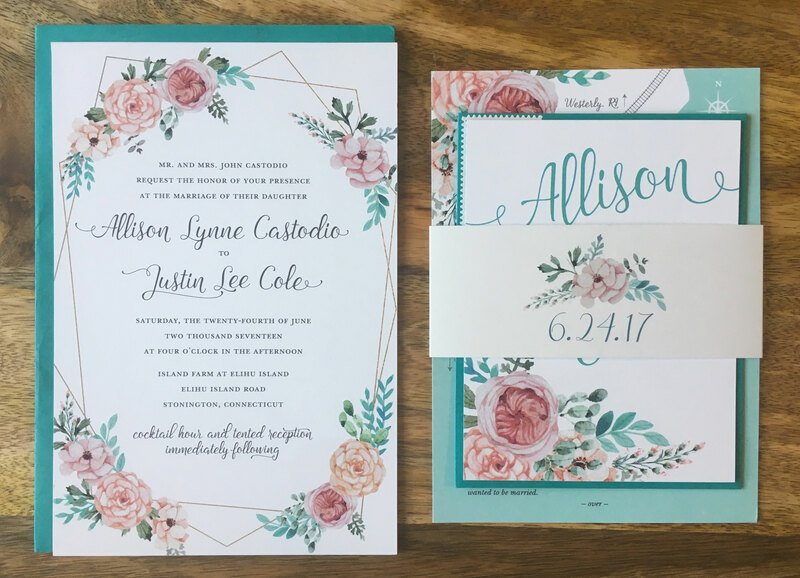 Wedding invitation suites usually include the main invitation, a response card, and any other enclosure with helpful information for your guests – such as reception location, travel and accommodations, attire, wedding website, etc. All of these details are helpful for planning and attending your big day and your guests will be excited to receive them! 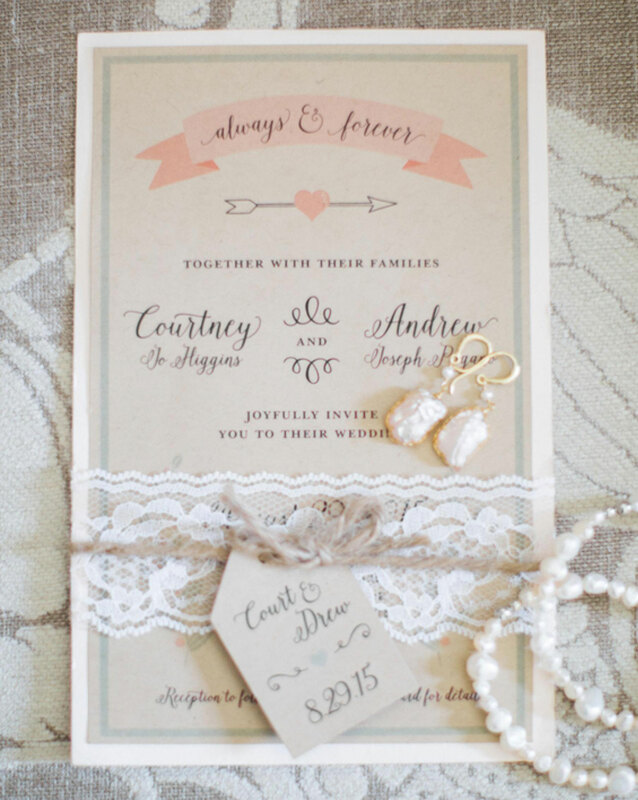 Traditionally, wedding invitations are sent out 6-8 weeks before the wedding. 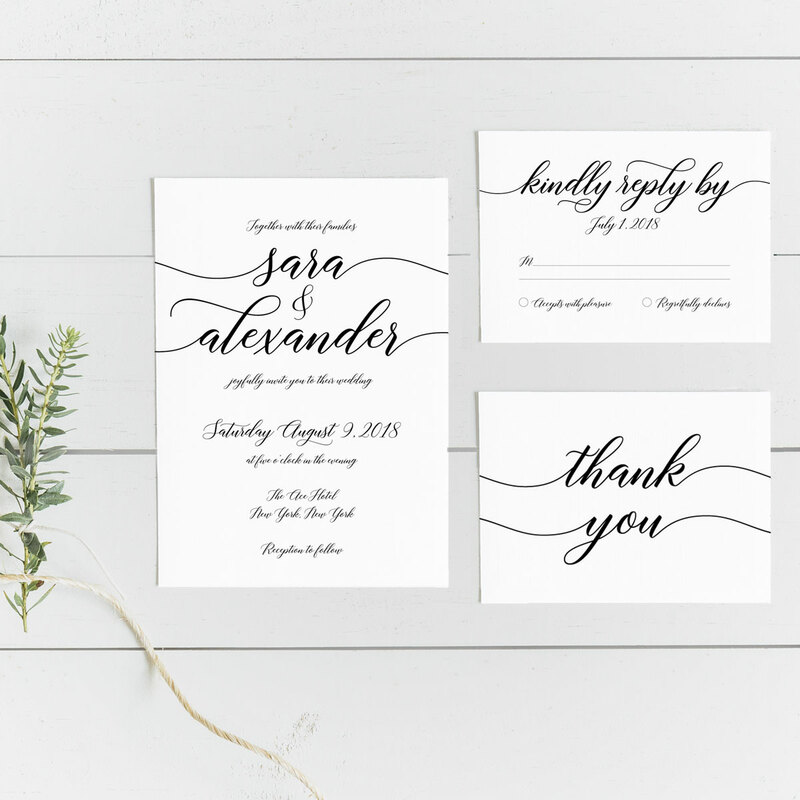 Whether your celebration be classic, whimsical, rustic, or modern, invitations are typically the first opportunity to share the look and feel of your wedding with your guests. 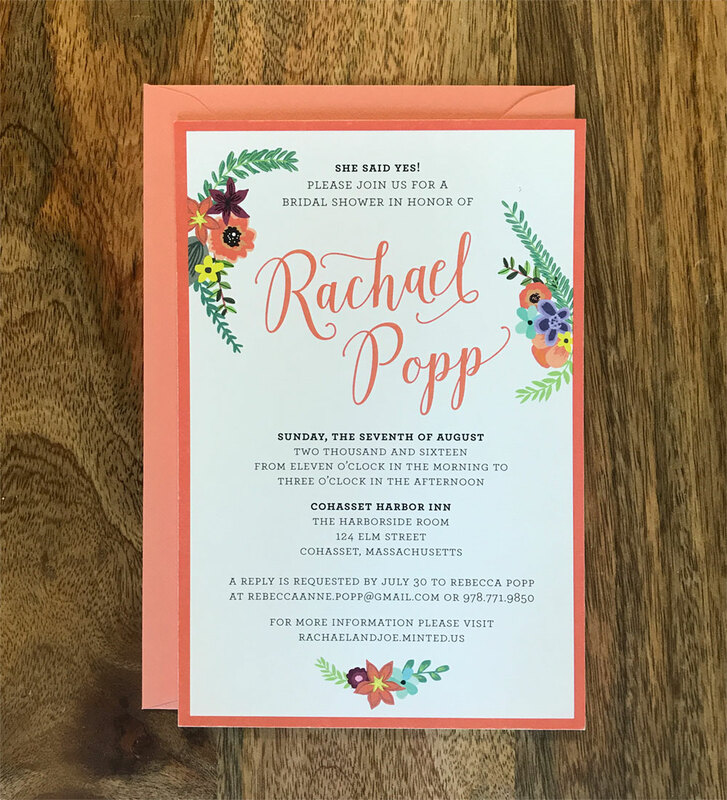 If you plan on sending additional invitations as you receive “no” RSVPs, move your original invitation mail date back an additional 2-3 weeks so that guests whose invitations are sent later still have time to reply. This will ensure your “B-list” guests don’t feel like they are receiving an invitation at the last minute. Your RSVP date should be about 3-4 weeks from wedding date. This will give you enough time to finalize your seating and give your caterer a final head count. There are bound to be a few missing, so don’t be afraid to follow up with a text or phone call to those you haven’t heard back from in time. And although it may be hard to believe, sometimes reply cards come back to you without guest names or return addresses. 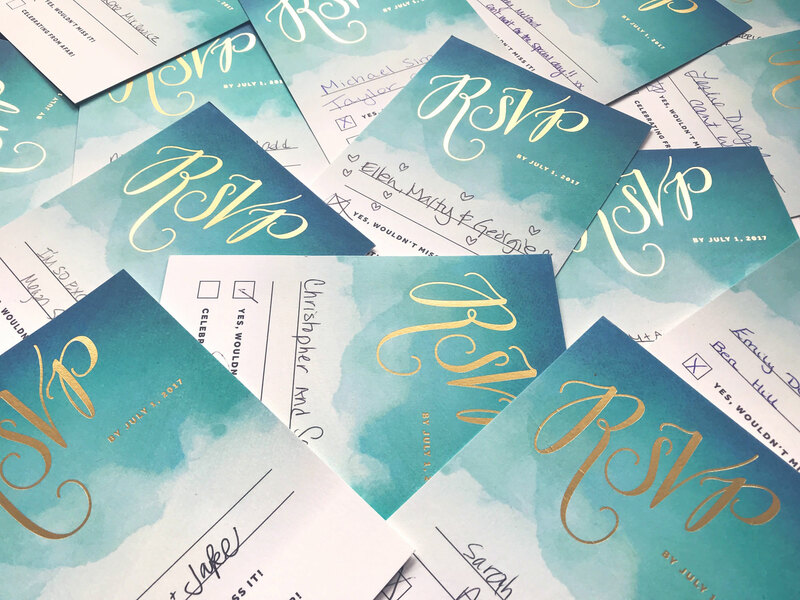 To combat this, we recommend penciling a little number on the back of your RSVP cards or inside the envelopes that corresponds to your own numbered guest list. 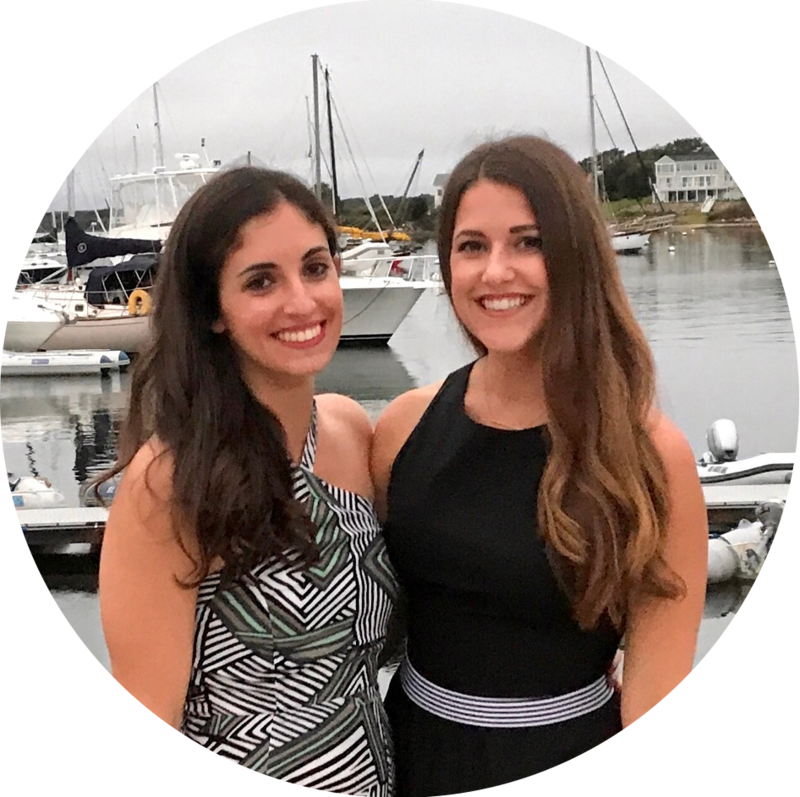 This makes the task of managing and tracking down RSVPs less stressful! The bridal party is usually responsible for organizing and hosting the shower. Invitations should go out 6-8 weeks before the event. To keep things organized, RSVPs should go to one person, the maid of honor or mother of the bride, for example. Close family members and anyone participating in the wedding ceremony is typically invited to the rehearsal dinner. It usually takes place the night before the wedding and is a time for guests to meet each other, celebrate, and toast the couple. Invitations are sent 3-6 weeks in advance of the dinner. 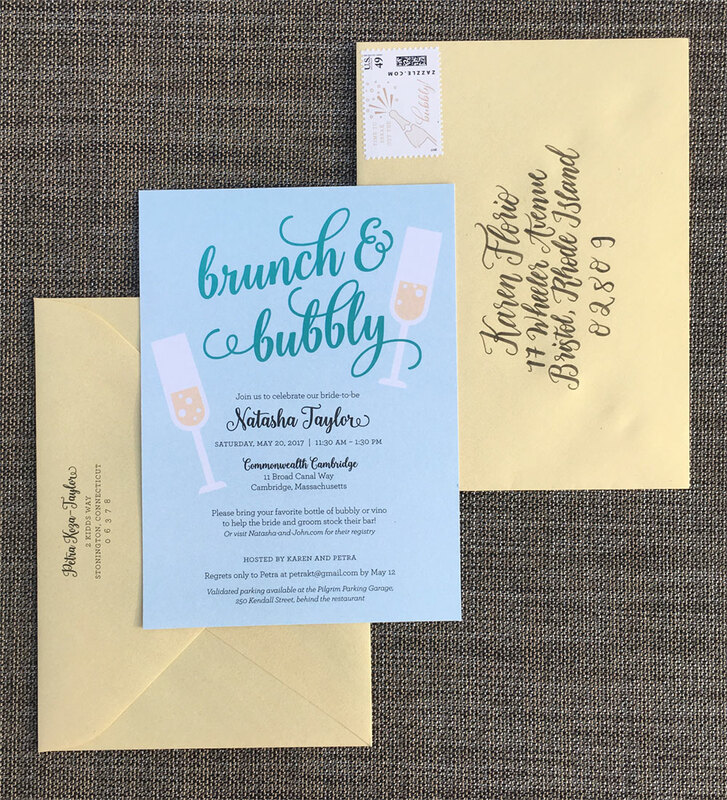 Some couples opt to include the rehearsal dinner information on an insert to be sent as part of the main invitation suite for those guests who are invited. Wedding gifts will likely come during different times of your wedding planning and celebrations. 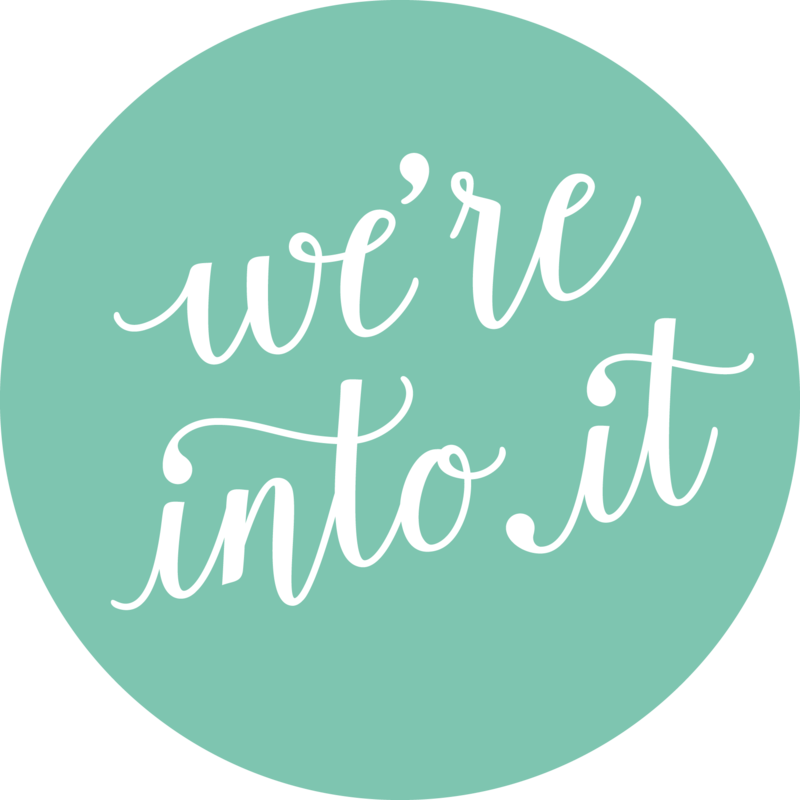 For gifts received during the engagement party and shower, send a thank you within 3-4 weeks of the events. For gifts sent before the wedding a date, send a card as soon as possible, ideally before the wedding date. 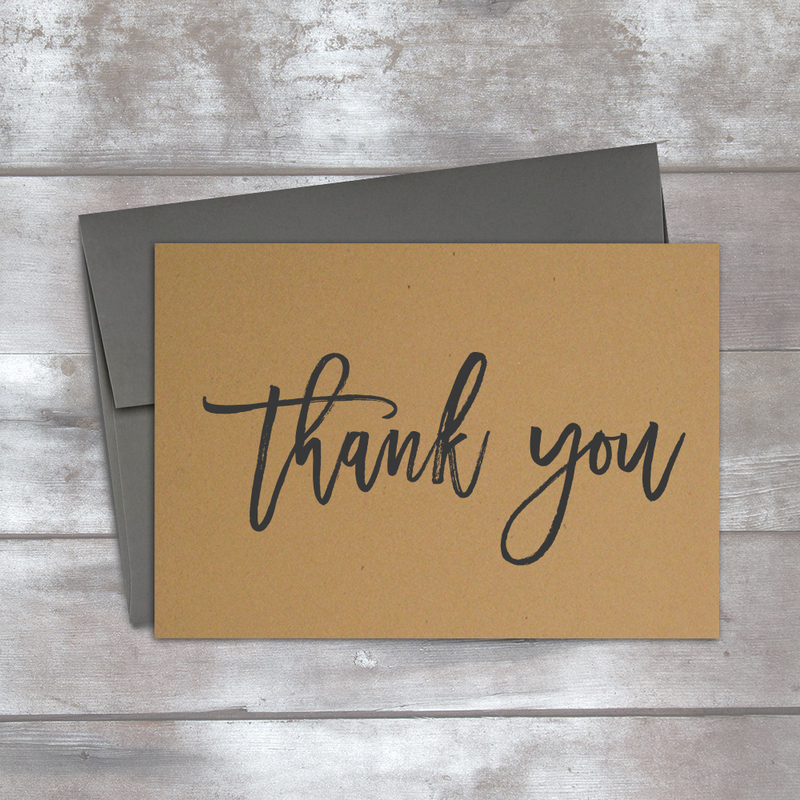 For all other gifts given at the wedding or shortly after, mail a thank you note with in 3-6 months. We hope these timelines give you a helpful guideline for when to send out all of your beautiful wedding snail mail. Don’t forget, each event is different, so your timelines can vary. Use these timelines as a reference and adjust to suit the needs of your wedding. And don’t forget to add in time to actually have your stationery made! 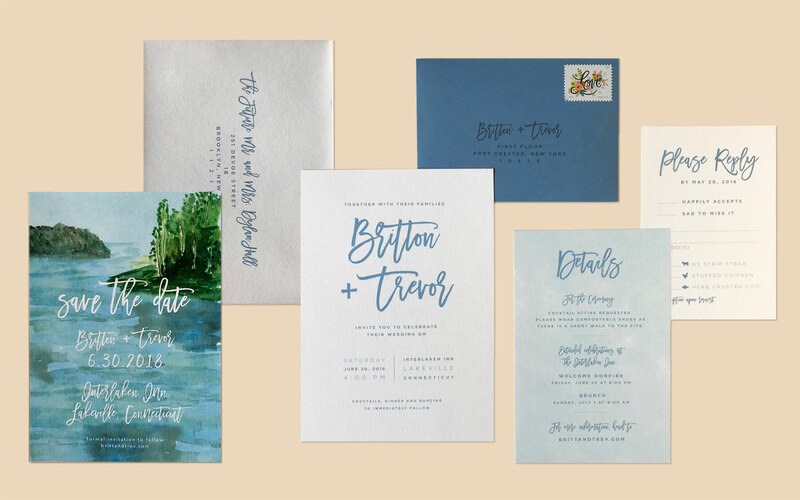 We recommend reaching out to us at least six weeks before your mail dates so there’s ample time to nail your vision and perfect your stationery. All designs shown here were created by We’re Into It. All photography is our own except where credit is given.